CFA-Shield, our new product, makes it easy to apply electromagnetic shielding process. With the use of conductive tape, it also makes it possible to skip the work to take the earthing. 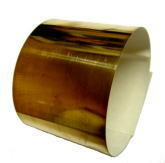 Contact us for detailed information such as electrical conductivity, size, etc of the electroconductive adhesive tape.